This 17-month major is designed to prepare graduates to enter the field of practical nursing or to continue their education at the associate or baccalaureate level. Graduates who successfully complete the program are eligible to take the Practical Nursing licensing exam (NCLEX-PN) and work under the direction of a licensed professional nurse, licensed physician, or dentist. Practical Nursing education is a process through which the student has the opportunity to acquire knowledge, skills, attitudes, and judgment in order to provide safe nursing care. Classroom instruction in theory and basic nursing skills is provided on campus. Clinical experiences are obtained at area hospitals, nursing homes, and health care agencies. Under the guidance of College faculty, students gain valuable experience in the care of clients of all ages. The Health Arts: Practical Nursing Emphasis is accredited by the Accreditation Commission for Education in Nursing (ACEN) and approved by the Pennsylvania State Board of Nursing. For further information, contact ACEN at 3343 Peachtree Rd. NE, Suite 850, Atlanta GA 30326; 404-975-5000. Graduates find jobs in a variety of health care settings, such as: hospitals, extended care facilities, home health agencies, state and federal health related facilities, private duty nursing and in physician and dentist office private settings. Completion of this major and earning an associate of applied science degree could help graduates advance within an organization, enjoy more job related options or have a competitive advantage for jobs or promotions. According to the Bureau of Labor Statistics, the median annual wage for licensed practical and licensed vocational nurses was $46,240 in May 2018. The top 10 percent earned more than $62,160. Students who do not meet the recommended high school subjects can work with a college advisor to prepare for the major. One criteria required for selection into the nursing major is the Test of Essential Academic Skills (TEAS exam). Prospective students can register for the TEAS exam by creating an account at www.atitesting.com and purchasing the TEAS exam through the ATI Testing online store. 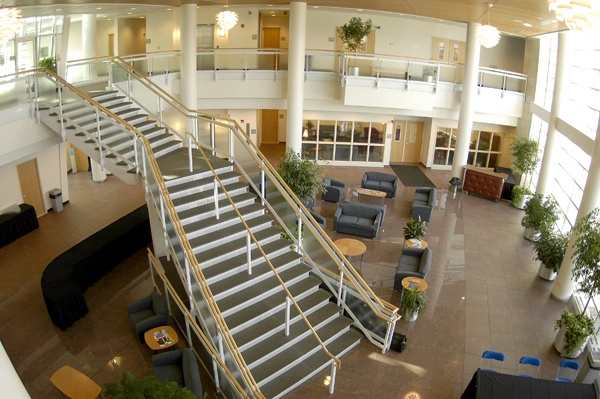 The TEAS exam is offered at Pennsylvania College of Technology several times each semester. See the ATI Testing online store for other testing dates and locations. Students may take the TEAS exam up to three times, with a minimum of 30 days between attempts, in a one year time period. The TEAS exam score is valid for one year. Applicants with less than 12 college credits will be evaluated for selection into the major based upon the high school selection criteria. Please refer to the special admission information for a complete list of selective admission criteria. All students offered a seat in this major are required to maintain a math/science grade calculation of 2.0 or greater and a cumulative graduation GPA of 2.25 or greater prior to entering the first nursing course. If a student does not maintain the required grade calculations, the student will relinquish his/her seat and be placed into the pre-nursing major. Re-selection into the major will be required during the next selection period and will follow the current selective admission criteria. In addition, all students must earn a “C” (2.0) or greater in all NUR and BIO courses; if a lower grade is earned in any of these courses, the course must be repeated. Transfer standards established by the College require a minimum of a “C” in transfer courses. Official transcripts must be sent to the Penn College Admissions office. The College may also request official high school transcripts or an official GED score report. For fall acceptance, transcripts need to be received by June 1. Students transferring from other Colleges will have their nursing credits evaluated by Penn College nursing officials after acceptance into the major. Students accepted into this major will incur expenses for tools/instruments, a custom nursing kit (can be purchased at the College Store), uniforms, malpractice insurance, clearances, certifications, etc. Refer to equipment and estimated cost list. Students must meet technical standards established by the Nursing Program, as well as health and safety requirements including, but not limited to, immunizations (MMR, hepatitis B, varicella, tetanus, diphtheria, pertussis, annual influenza vaccination, PPD), medical examination, 10 panel drug screen, CPR certification, and background clearances as established by clinical affiliation agreements. Child abuse clearances and criminal background checks are required for this major as established by clinical affiliation agreements. Agencies can prohibit students from participating in clinical experiences at their sites if a criminal record exists or a positive drug test is noted. By virtue of contract for Pennsylvania College of Technology students to be at clinical sites, agencies have the right to ask for random drug testing. Inability to complete clinical, fieldwork, or intern educational experiences will result in the inability to meet program and course outcomes. For additional clarification, students can speak with their program director. The Pennsylvania State Board of Nursing advises that a drug-related conviction and/or conviction of a felonious act or two misdemeanors might result in denial and/or revocation of a license to practice nursing. In accordance with the Professional Nurse Law, Act of 1951, P.L. 317, No. 69, as amended, the Pennsylvania Board of Nursing shall not issue a license to an applicant who has been convicted of a felonious act prohibited by the Act known as "The Controlled Substance, Drug, Device and Cosmetic Act" or convicted of a felony relating to a controlled substance in a court of law of the United States or any other state, territory or country unless at least 10 years have elapsed from the date of the conviction.